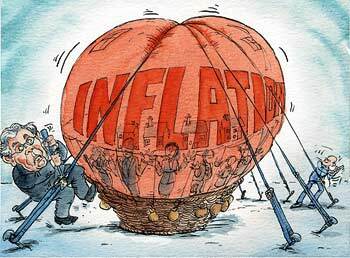 In an inflationary environment, a fixed mortgage becomes less of a burden as wages and consumer prices increase. The loan is essentially paid back with less valuable dollars than were originally borrowed. Whether or not Mr. Paulson's prediction regarding inflation holds true is yet to be seen, but his track record is impressive. Locking in a 30 year fixed rate loan at today's rates and paying it back in future, cheaper dollars sounds wise to me.